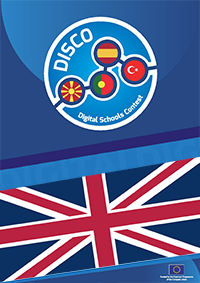 This handbook was created under the framework of the Erasmus+ project named “DISCO-Digital Schools Contest”, with the approval number 2015-1-MK01-KA201-002841 and a total of five partners, from Macedonia: South East European University Tetovo and SSOU Mosha Pijade Tetovo; from Spain: Inercia Digital; from Portugal: ZENDENSINO-Cooperativa de Ensino IPRL and from Turkey: Pakize Kokulu Anadolu Lisesi. This project has overall and specific objectives. The overall objectives are: enhancing the key competences and skills on ICT and learning performance of young people attending schools, through promoting quality improvements, innovation excellence at the level of education, in particular through enhanced transnational cooperation between education and training providers and other stakeholders in the field of ICT integration in Schools (teaching and management); boosting the emergence and raising awareness of a European lifelong learning area designed to complement policy reforms at national level and to support the modernization of education systems, in particular through enhanced dissemination of good practices and cooperation and supporting the development of innovative practice, enhance the quality of pupil and staff work, build capacity in schools and foster strategic cooperation between school organizations. The specific objectives are: developing a programme of initiatives on ICT integration in education to promote innovation, exchange of experience, good practices and know-how between different types of organizations involved in education; Developing basic and transversal skills in education, using innovative and learner-centered pedagogical approaches and enhancing digital integration in learning, teaching, at various levels: supporting ICT-based teaching, as well as ICT-based assessment practices. In particular, supporting teachers, educational staff in acquiring or improving the use of ICT for learning and related digital competences. To achieve and fulfill all of these objectives, a number of intellectual outputs were designed and divided throughout all of the project partners, resulting in this handbook which has the main objective of working as a tool for all teachers around Europe that are looking for new innovative ways to capture the attention of our youth, motivating them and thus, leading to less school drop-outs. 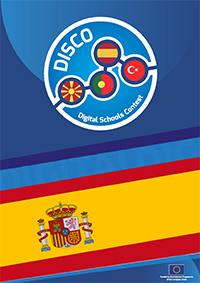 Following this chain of ideas, the handbook contains the result of all of the work done, namely: the results of the questionnaire to schools (comparative study) to get to know how digital their schools are; case studies of digital schools, best practices, and training material on methodology in ICT integration in education.